How to grow long hair fast - My secret! Want to to know my secret how to grow long hair fast? I grew 6 inches of hair in 6 months! That’s double the normal rate of growth which is 1/2 inch per month. I wanted to prove my method of fast long hair growth by not dying my hair and letting my natural roots document the truth. Keep reading and I’ll show you how to grow long hair fast with my my long hair secret routine! Sharing my secret how to grow long hair fast! 30 inches of hair, 6 inches of new hair growth in 6 months! Here’s how to grow long hair fast! – My secret! Growing up, I was taught how to take care of my hair by my mother. My good habits became a lifestyle. You can adopt my hair care routine to grow your hair fast and keep it long and healthy! I’m going to share EVERYTHING with you! I noticed that my hair has always grown faster than most people’s hair and it stays long and strong. If you want long hair as fast as possible, please book mark this page and study it! First let’s start speeding up your hair growth by feeding your scalp and conditioning your hair. I like to make sure my hair grows not only fast, but thick! Take 1 part Organic Castor Oil and 4 parts Extra Virgin Olive Oil. Place it in an empty shampoo bottle. how to grow long hair fast- This is my new hair growth PROOF ,my new natural hair color coming in FAST! This is also how to grow out natural color fast! Next, Section your hair in half, starting at the ends – apply the oil mixture to your ends and squeeze in the oil with your hands. This will saturate your hair with the oils. Slowly work your way up by applying more oil to a section above the ends and gently work it down each time. Squeeze the excess down. how to grow long hair fast – Important tip: Castor oil / Olive oil on your scalp every month! As you get to your scalp, be generous with the oil and be sure to cover your whole scalp by working it in with your finger tips. Gently place your hair into a shower cap and let the oil penetrate into your scalp and hair for an hour. Your scalp will be nourished, making a perfect environment for your hair to grow fast! Your hair will also now have more elasticity meaning it won’t easily break. When you hair is strong, you can safely grow out your hair without the ends breaking off! Your hair will be in a better condition overall and look luscious after shampooing and conditioning. My favorite shampoo for growing long hair fast is called, Wen. I have a great review of Wen here. This helps make your hair grow fast! I use it three times a week! Make sure you wash your hair with a formula that does NOT have Sodium laureth sulfate in it! This is very important because it can slow down your hair growth! Feed your scalp with this method at least once every month or more if you can handle it! If your scalp isn’t healthy and it itches, use this Natural Itchy Scalp Remedy – 1 Minute Cure! This photo is before I started to let me natural color grow in. These are the ONLY brush and comb I use on my hair! They will help grow your hair fast! Use a Hair Pick to gently remove tangles. Start from your ends and slowly work your way up. NEVER be in a hurry to brush your hair! Have patience and realize it will pay off with long gorgeous hair. This wide tooth comb is the gentlest way to comb your hair besides your fingers. Never tug hard on it, slowly if you encounter a snarl, pick up that section of hair stuck in your comb and try to untangle it with your fingers and pick it apart. Tip: Try some infusium 23 leave in conditioner in that one snarl to slide it free. Once your hair is tangle free, use your boar bristle brush. Starting at the ends and slowly work your way up. It’s best to divide your hair in half when doing this. Once your reach the top of your head, do some long gentle strokes from your scalp to the ends. This gets your natural hair oils distributed to the ends and will add incredible shine and smooth your hair to silk perfection. You hair will look like it’s been straightened with a flat iron. Natural Cure for Receding Hairline -Another way how to make your hair grow fast! Hair tools – How to Make Your Hair Grow Fast! These are my go to combs pictured to the left. They’re called – Conair lift combs. I use the aqua one every day, It also adds great volume to my roots. I have tried many combs for my long hair and these are the only ones that I find comfortable in my hand and does not scratch my scalp. I do like to sneak the pink comb into my makeup bag for travel! These are easy to find at almost every drug store! To get the silkiest smooth, straight hair naturally, I use my Conair Ceramic Wooden Boar Cushion Brush. This brush is amazing and the best boar bristle brush I’ve tried, and I’ve tried a lot! I love the weight of the wooden handle and the shape of the brush head. There’s even a padded cushion to ensure your hair will be gently brushed and stress free! I only use this when my hair is dry or just a tiny bit damp. This brush also helps make you hair more shiny. The protective oils on your scalp need to be distributed to the ends of your hair. This brush is one of the only brushes that can do that! When the ends of your hair are protected, the hair is less likely to break. Most people that cannot grow out their hair have dry hair ends and that hair easily breaks or gains tons of split ends. When their hair is constantly breaking off at the ends it looks like their hair is not growing. The ends of their hair can possibly break off in longer lengths than the length the hair is actually growing at the roots! People that have very short hair usually suffer from this problem. This boar bristle brush helps make your hair strong, protected, and helps stimulate blood flow to your scalp. 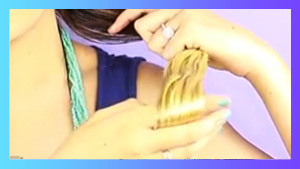 This brush can be your secret weapon for faster hair growth potential! Your hair will also look very shiny! The cushioned head of this brush feels relaxing on my scalp, making it a joy to use! Speaking of blood flow to your scalp, don’t forget to massage your scalp as mentioned below. My weird habit for long hair, so relaxing! I have this weird habit I do when I’m at home watching tv or just relaxing. I LOVE to massage or just touch my scalp roots using my finger tips. I love how my scalp feels well conditioned and my hair feels silky I can’t help but feel it! This brings a lot of blood flow to the area and feeds your hair follicles making your hair grow. I do this every day! With all the good quality products I use, my hair feels luxuriously soft. I know it’s weird but hey, I have 30 inches of hair. ( that’s 76.2 centimeters) Never pull or tug the hair, just massage the scalp. You can also bend over like you’re about to touch you toes, this would give you lots of areas to massage your scalp and increase blood flow there for fast hair growth. This is a great trick to make your hair grow faster. 1. NEVER comb your hair when it’s wet – it will stress the elasticity of the hair because hair is weakest when it’s wet. 2. Eat protein – One of the best tips how to grow log hair fast because protein is the building blocks to make hair. 3. Don’t cut your hair! Give it time to grow. – People think cutting their hair is how to grow long hair fast, but it’s counter productive. Keep it long and continue to nourish it! 4. Let your hair dry naturally – This keeps your hair strong and the scalp retains the moisture, one of the best ways how to grow long hair fast! 5. No flat irons ever! – Flat irons and blow dryers, anything with heat will damage hair! 8. Use a boar bristle brush to condition and smooth your hair – This transfers natural oils down from the scalp and is another way how to grow long hair fast and keep it long! 9. No tight hair styles – can lead to balding and irritation! 10. Don’t wash your hair everyday, try to wait for 2-3 days at least! 11. Always use conditioner and leave it in at least 3 minutes before you rinse- this nourishes your hair and moistens your scalp, a great way how to grow long hair fast! 12. Never attempt brush your hair when it’s dried out or in a bad condition, tie it back those days before you wash it. – Hair will break very easy! 13. Maintain tangle free hair – Gently comb your hair! Stimulating the scalp by daily brushing is how to grow long hair fast. 14. Don’t leave sweat on your scalp all day. Wash it. – It will cause irritation! 15. Never sleep with your hair in a tight hair tie. Do you have grey hair? Here’s the grey hair drink remedy I used. All natural Homemade grey hair remedy. 17. Keep your hair out of the cold and windy and extreme sun exposure – if you’re in the beach, apply oil to your hair otherwise wear a hat! 21. 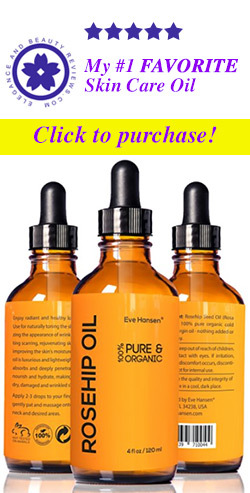 Make sure you eat olive oil regularly – how to grow long hair fast from the inside out! 22. Never be in a hurry when brushing/combing hair – you could break a lot off! This will keep your hair strong and healthy! And those are my fast hair grows tips and secrets, Enjoy! Enjoy your long luxurious hair! Do you have a HOW To Grow Long Hair Fast TIP? Include it in the comments section below, thanks! *Remember, Long hair is a lifestyle change. You can grow it fast with my hair growth tips, but keeping it long takes effort. Take care of your hair! 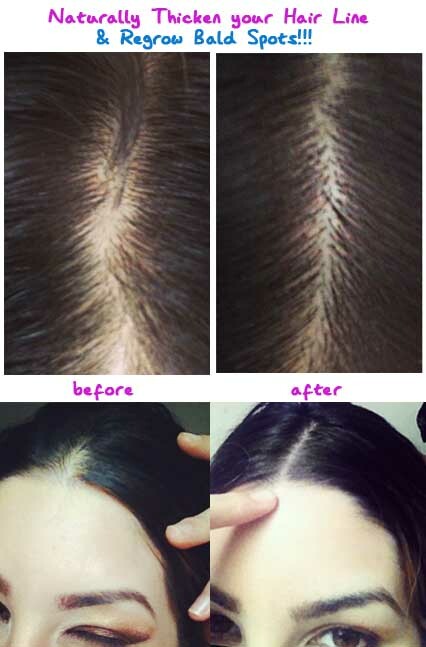 If you have bleached damaged hair, read how I repair and fix it here: Repair Bleached Damaged Hair FAST! Hi Jen , I am in desperate need to grow my hair and read your blog. Just purchase what I need to grow my hair out… I pray that everything work out and will follow the requirements.. Thank for the information. Thank you for saying hello and reading my blog! I’m sure my tips will help your grow your hair out fast! This is what has been working for me so I believe 100% this will help your hair grow faster! Good luck! Hi! I just cut my hair shorter for the winter time (easier in this weather) but want it longer for summer, how often should I get it cut o make sure dead ends don’t get worse but still allowing it to grow? Thanks for the tips! I trim my own hair, that being said, I only trim the ends when I feel my hair is too heavy. I do this four times a year, once every season. Remember, hair grows slowest in the winter so if you really want long hair for summer, don’t trim too much. I want to try your natural cure for receding hairlines. How often do I need to apply the oils and how long do I leave them in? Also, what should I use to wash them out? Thank you! Should I leave the oils in my hair overnight and wash them out in the morning or should I just leave the oils in for a certain amount of time and then wash my hair before I go to bed? Yes, please read all the hair articles on my website. Thank you for reading! Hey jen, I would like to say thank you for creating this blog but I have a quick question about the olive oil part. How much do u eat a day? a tablespoon? I would like to try it. Hi Shay! Thanks, I’m glad you like my blog! Everyday, I eat olive oil! I pour at least 1 Tbsp. onto my vegetables and rice or pasta. It’s good for your overall health too! Can coconut oil replace olive oil? Yes, you can substitute the olive oil, I just prefer it. Your blog is awesome and I want to try your tips on growing hair long fast. If you keep cutting your hair, you will never be able to see it grow. Salons will tell you to “keep your hair healthy” by visiting them every 2 to 3 months. It actually just makes their wallets healthy. Split ends happen when the hair’s protein becomes stripped and the strand unravels. If you just deep condition your hair once a week, there shouldn’t be a problem. Once your hair has grown out, feel free to get a trim. As a professional stylist cutting your hair regularly won’t slow or stop progress. If your hair is healthy you don’t need to take hardly any off with a trim (1/4 inch or less) because split ends can not be repaired! If split ends go uncut they will break.
. This could make it seem like their hair isn’t growing. Hello, I love your blog. I know this isn’t related to this post in any way but I figured since you know lots about hair growth I would ask. I’ve been told.that hair extensions help grow hair? If so, how do they help grow hair? And how fast do they grow hair every month? No, in fact constant wearing of extension will stress out the hair roots and you will have temporary if not permanent bald spots. Extensions should rarely be worn. Many celebrities have horrible hair lines and bald spots because of their career. Also, anytime you wear your hair excessively tight, it stresses the hair roots, causing them to release the hair resulting in bald spots. I hope that helps answer your question. I remember the black girls in middle school growing up, they had major bald spots at a young age. It’s really sad. You can try olive oil if this isn’t an option for you. hi jen, your hair is beautiful and so are you! I wanted to ask does your hair grow faster since you haven’t been dyeing it blonde? I was considering going natural and not having my hair dyed at all because I am more concerned at this point in my life (I’m 40) about growth and and length, not color. a couple of years ago I had a lady bleaching my hair who made it break bad and it wasn’t growing. My current hair dresser is great and fixed my hair and it is growing: It’s blonde but not bleached but I wanted to ask if I just totally had him stop dyeing it totally would it grow faster? I’m debating whether to keep having it dyed or take a break. Thanks Jen! It feels like my hair did grow faster as soon as I stopped bleaching my hair but that’s because my ends were breaking off faster than it was growing! As soon as I properly conditioned my bleached hair and strengthened my hair, My hair grew much better and faster. Using lots of olive oil treatments, wen, and going sulfate free really helped! I’m glad your hair dresser fixed your hair. Just keep your hair deeply moisturized (for elasticity) and your hair will keep its length! hi, I am trying to grow out my hair, I’d love long hair at least ot my shoulder blades its a little past my shoulders now. I dye my hair occasionally since I’ve had gray/white hair since I was 12 ( thanks to my dad lol). I’m trying hard to take all my vits daily and only washing my hair e dry other day or so using a cleansing conditioner similar to wen. Any tips on covering my grays and not messing up my hair growth regimen ? Thank so much for all your info. as long as the brush says it’s boar bristle, it’s right. I love your blog, following all your instructions and wow 1/2 inch in 2 weeks already!!!! Quick question, I have platinum blonde hair and they are very long but I was wondering, did you just let your hair grow and did not bleached at all to make a more ombre effect? My natural color is black and my roots were badly damaged after I decided to get my color done at a hair salon instead of doing it myself as the usual (it’s getting better now) and I am letting them grow, no more bleach and hair salon haha, but after 1 month it looks very even (the famous straight line look) I am guessing it will look less straight and blend better after a while of growth? Yes, I let my hair grow out, I hated seeing the roots after my dark hair color quickly grew down to my ear lobes, so I took a photo of my roots with my camera phone as seen in the photos. Your hair will eventually blend in and you won’t have the harsh line. After it grew out so fast, I added some light streaks to blend in the new growth. I have not bleached since then. I’m 17 and I’ve been dying my hair dark brown for over a year now. I’m a natural blonde and I want my blonde hair back! I can’t afford a salon visit so I’m growing it out. My hair is shoulder length. Any tips on how i can speed up the process? Please follow all the tips listed above, good luck! 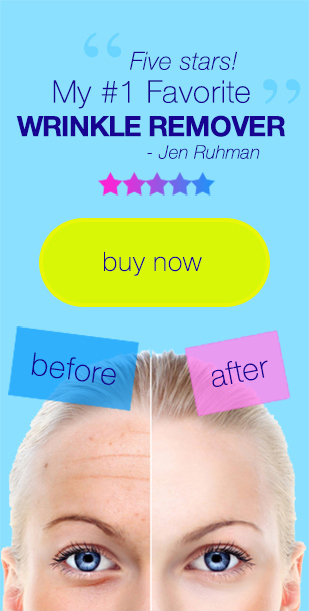 Jen – Loved your article on How to Grow Your Hair Fast. I will use all your tips, but had one question. My hair is fine and doesn’t have much body. Do you recommend any products like mousse, gel or hair thickeners so my hair doesn’t feel so limp after all the conditioning? Or do these types of products just dry it out even more? i have receding hair line from past 2 years i have tried so many methods to solve it but i can’t they are useless. i went to hair specialist to find the root cause and they said it was DHT problem in the scalp . I don’t know too much about DHT, perhaps your body is out of balance producing this in excess? For most hair loss, I recommend cold pressed castor oil applied to the scalp. Also, I was just talking about hair loss yesterday and not having enough iron in your diet. I met someone with the tale that they came from a foreign county and immigrated here to the United States, they worked at a slaughter house and began eating red meat often. Their hair turned from grey to black and they regrew some hair. Hair does grow in cycles too and sometimes lays dormant for many years. Also, you can experience temporary baldness from excess stress. Do you always part your hair on the same side? That can also cause stress to the hair. ‘Sup. So, I have naturally thin hair thanks to my parents, as in, the strands themselves are thin, NOT that I don’t have much hair, and I was wondering is there are any natural DIY remedies that I would be able to use that would make my hair thicker. I mean, having really thin hair is soooo annoying, you can’t do anything with it. Also, are there brushes that don’t pull your hair out, because mine becomes full ’bout every, say, 3-4 days. Boar bristle maybe? Please help! If your hair is very thin, I recommend you blunt cut your hair. (cut straight across the ends) You could also try getting your hair layered. To grow thicker roots, it’s important not to stress your roots by changing your hair part everyday. Also, use organic cold pressed castor oil on your hair line at night and rinse it in the morning. I’m the living proof that it works. I don’t know if it will work for everyone because I personally don’t think people understand it’s a lifestyle change for hair care. People think if they do the steps once it will work, it takes time and continuous effort. Hello, I went for a hair cut and I said I wanted more volume and only 1.5inches off bottom but she cut out 4 inches from bottom and from my shortest layer is like to my shoulder. It looks horrible. I have been crying everyday for like 2 weeks now. I started biotin, haven’t noticed any difference. I am using the oil treatment as well and the inversion method failed for me. Please help me!!! Please try all the long hair secrets I shared. I’ve been looking for a better way to help boost my hair health, but could never find anything that worked. But, NuhairRX Serum completely changed my world. A friend recommended it for me online, and it’s been a great help to me. 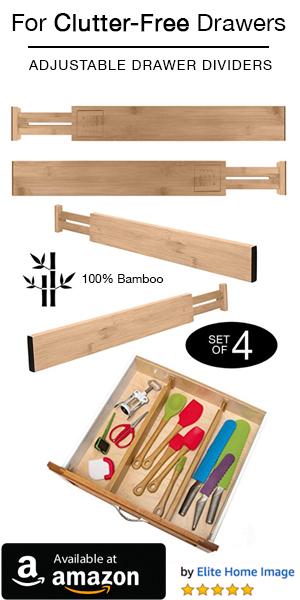 The product is easy to take and it’s price point makes it a great value. You won’t be disappointed with this buy. Never heard of it. I really try to stick to natural and organic ingredients. If you don’t wish to use oils, you can try infusion 23 leave in treatment. It’s also amazing! Good luck! hi!!! ive been trying to grow out my hair FOREVER!!! Jen, how much does your hair grow in a month? Also, would this work for hispanics? Please respond! thank you!!! My hair grows super fast thanks to the hair growth tips I follow listed below. This month I had one inch of growth, it’s usually faster in the summer. Fun fact, hair grows faster in the summertime. This works for all hair types. Just wanted to say thank you for doing this and posting the pics. Will try all of your recommendation and let you know in a year’s time roughly:P TC. To help keep your virgin hair healthy and strong, I recommend you use a boar bristle brush and a wide tooth comb for hair care. Next, use a sulfate free shampoo, like the Loreal sulfate free collection. Condition you hair every time you wash. Only wash your hair twice a week. Deep condition weekly. I hope that helps! My hairs alopecia areata can you help me for it? I don’t think this works for alopecia. However, I hear there’s great new shampoos and treatments for this available even in drugstores. Sesame is one of the best home remedies for longer hair growth. Hi Jen, for most of my live I have had virgin hair. It’s fine (but I have a lot of it) and oily. From the summer of 2014 to exactly one year ago I had heavy highlighting and all over bleach added to my hair (2 times per year), which really changed the texture. I’ve always had long hair (bsl length or mid back), but I am trying to grow it longer (waist). Do you have any recommendations as to whether I should wear my hair mostly up (to protect the ends) or down and how often I should be trimming split ends (I never had a lot with virgin hair, but I have more now with the bleach)? I am wondering if you can give me some advice as to how to wear my hair for maximum length retention. I recommend you wear your hair up. Perhaps in a loose bun. Keep your hair safe this way and apply leave in conditioner. This helps keep your hair safe.